If you are like me (and I bet you are), then your dogs are family. They will always be your fur babies. You have seen each other through thick and thin. They have been there for you and you are there for them too. 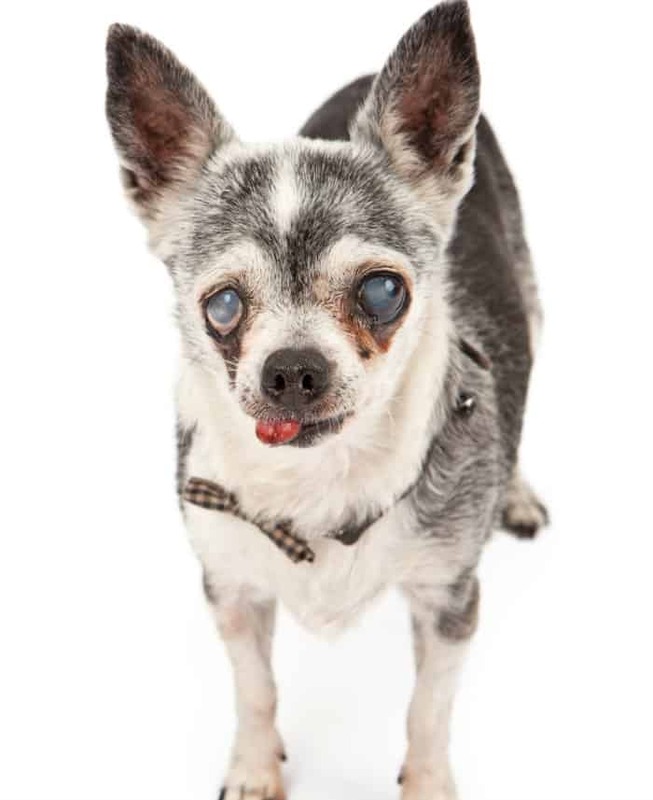 As your chihuahua gets older, his or her needs change (just like with humans). She may have slowed down. Maybe her eyesight isn’t what it used to be. Or maybe she can’t jump up on the couch like she used to. This is all just a natural part of aging, and like it or not, it’s something we have to deal with. We want to make our dogs’ lives as comfortable as possible and make their golden years happy and healthy. We want to keep them with us as long as we can, right? The following is a list of things you may consider getting as your dog ages. Be sure to leave me a comment and let me know if there is anything I missed or a product you like better than the ones I have in this post. Also let me know if you have tried any of these products on your dog and how did they like them. 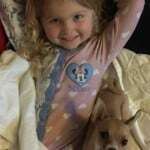 Your chihuahua will need a comfortable bed, even if he sleeps with you at night. 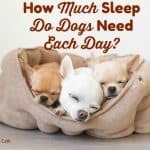 All dogs sleep a lot, and older dogs sleep even more. So it’s best to have a bed in a few of the rooms your dog spends most of his time in. I have several in my office, in the family room and even on top of my bed. Orthopedic beds are best for elderly dogs. 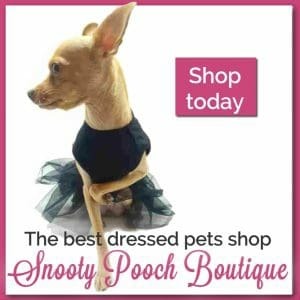 This is the one we like the best for chihuahuas. We all know chihuahuas love burrowing in blankets. 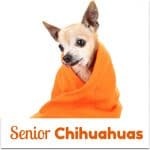 Older chihuahuas tend to get cold easier than their younger counterparts so they specially love warm, soft blankets. Be sure to have plenty available for your fur kid. Have one on their bed and then one or more on your couch or chair. In the cooler months, your chihuahua will need some clothes. A sweater or shirt to wear at home and a jacket when going outside. My chihuahuas are young and don’t need these yet but I do give them to my 14 year old Border Collie mix. They have helped her. She’s more mobile than she was and doesn’t seem to be in pain now. So they are definitely worth a try. You do need to be consistent with them and give them a a month or two to work. We use these for my dog. It also helps her with her itchy skin. You may want to cut them in half for a chihuahua. No it’s not pot and it won’t get your dog high. It may just help with pain relief though and it will calm them down too if they are anxious. Some people have claimed great results with these supplements for their dogs that are getting senile. Older dogs sometimes have trouble absorbing nutrients from their food. A good multivitamin can help. These can be a life saver. And I mean that literally. You don’t want your dog jumping off furniture when their joints and bones aren’t quite what they used to be. There are lots of good options, but here is our pick. Check out our article on the best stairs for your dog. Strollers are great for little dogs of any age. I use one for my 1 year old chihuahua who hates going on walks with her brother and sister but does enjoy riding in her stroller. Strollers are particularly great for older dogs who can’t walk great distances. It’s a way to go for a walk with your dog and not worry that it’s too much for them to handle. Be sure to check out our best strollers for dogs article! It’s also good to have a stroller anytime you take your dog into a crowd. You won’t have to worry about them getting stepped on. 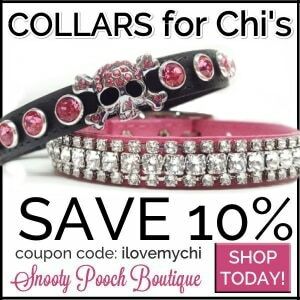 These are good for older dogs although I often use one for my 1 year old chi. It’s great for when I take her to the vet or over to a friend’s house. Here is the one we have. There is one other sling to talk about. If your dog is partially paralyzed or just very unsteady on their legs, or maybe recovering from knee surgery, this sling will help them walk while you make sure they won’t fall. If your dog is becoming incontinent, doggy diapers may be the answer. They are washable and they even have them for boys and girls. The do have disposable ones too. Potty pads can come in handy too with older dogs. You can get the disposable kind or the washable kind. This is an area where you may want to ask your vet what is best to feed your dog. Specially if your dog has any health issues. If your dog is already doing well on a particular brand, check and see if they have a senior food too. Most brands of dog food have senior dog formulas available. Just make sure it’s high quality. 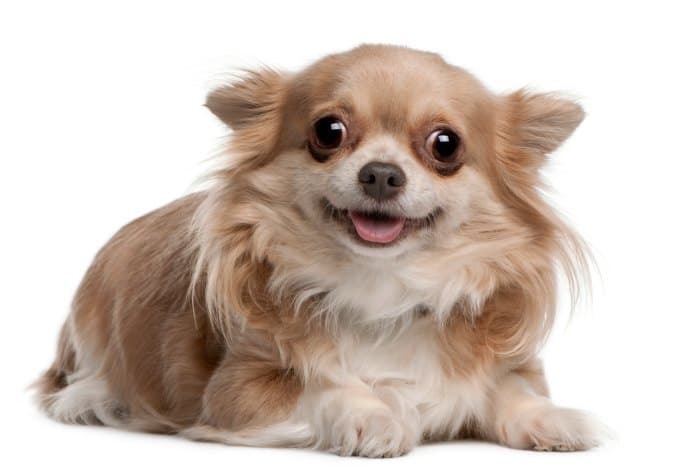 If your dog is missing her teeth, you can add warm broth to kibble to soften it or feed them a wet food. We really like (and my own dogs eat this) The Farmer’s Dog. It’s delivered to you in sealed plastic bags that you can freeze and the food is human grade. My dogs love this better than anything else they have ever tried and they seem to be doing well on it, including my oldster. I have to warn you though, it’s not cheap. There are other great foods out there too though. If your dog still has his teeth, these treats I’m going to recommend are wonderful for keeping them clean. When I got Lucas, his breath was smelly. But after a month of giving one of these treats every morning after breakfast, the stinky breath went away. We continue this habit with all my dogs every morning. He just had a checkup yesterday and his vet said his teeth look great so these treats must be working. They are called Ark Naturals Brushless Toothpaste. If your dog is “dentally challenged”, these soft treats are a good option. If your dog takes medication on a regular basis, you know what a hassle it can be. You can always wrap the pill in cheese or in a bit of peanut butter or you can put in a pill pocket. 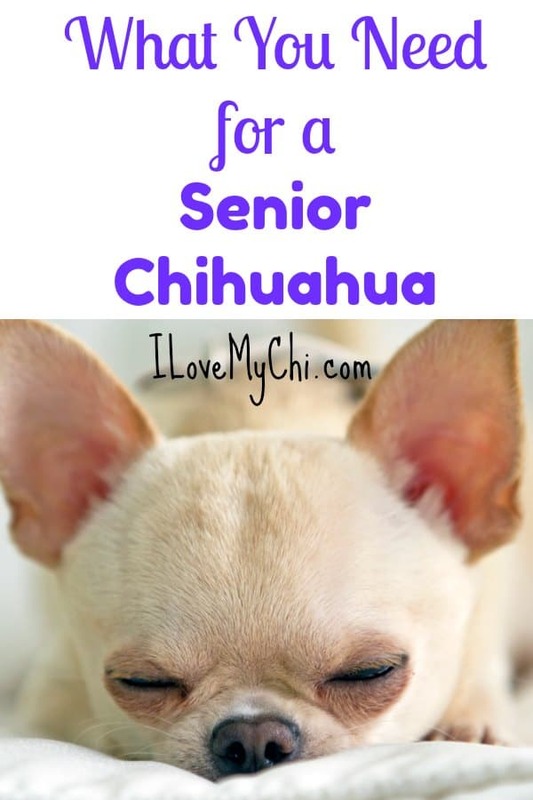 I hope these product recommendations have helped you in your search for things to help your senior chi have a comfortable happy life. Be sure to comment below if you have a recommendation of something I should include. 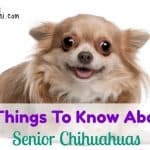 I have two elderly chihuahuas and this information was right on time! How old is she Rebecca? 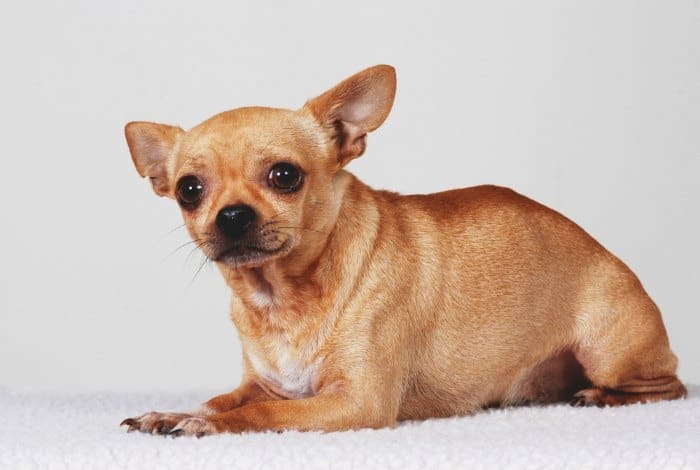 We recently took in 2 retired breeder Chihuahuas. This was a super helpful article. I have potty pads down and it took some time but now they are house broken. Thank you for posting, such a big help! You are welcome Carley. Glad it helped you! I have 6 Chis. The oldest, Jewelz, is 16. She’s a long hair solid black. Well now her face is mostly white. I agree with all your suggestions and have done all the above for her for many years. 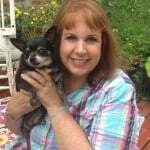 I have 6 Chihuahuas. Jewelz is the oldest at age 16. She’s a solid black longhair. Well she was before her face turned white. I use & agree with all of your suggestions above. I don’t know how much longer I will have her but she’s the Queen furever. Here’s a pic of Jewelz with her best buddy, Maggie, age 12, one of our rescues. They both have such sweet faces Sharon! Thanks for sharing them. Hope your Jewlz will be with you many more years and stay healthy. 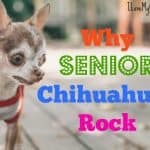 I have 2 Chi’s – Rocky is my senior (18 yrs) and Lily (just turned 4). I have to get Rocky on joint supplements as he’s slowing down on our walks. Thanks for all the information. I had no idea. You’re welcome Vicki. It takes about a month of consistent use before you notice a difference but the supplements have been helping my 14 year old Roxy. Great article! My little boy wouldn’t be caught outside if there was a rack of deer to eat! He’s very good with the disposable potty pads and we recently purchased the washables, which were a tremendous time saver for when he “splashes”. Just ordered the Ark naturals brushless toothpaste. He’ll love them! My dogs still love those Ark treats and wait patiently every morning for it after breakfast. They really do seem to work. All 4 dogs, even my 14 year old, have good teeth still. Wish it was possible to print out this article as a resource. How do I access on the website?